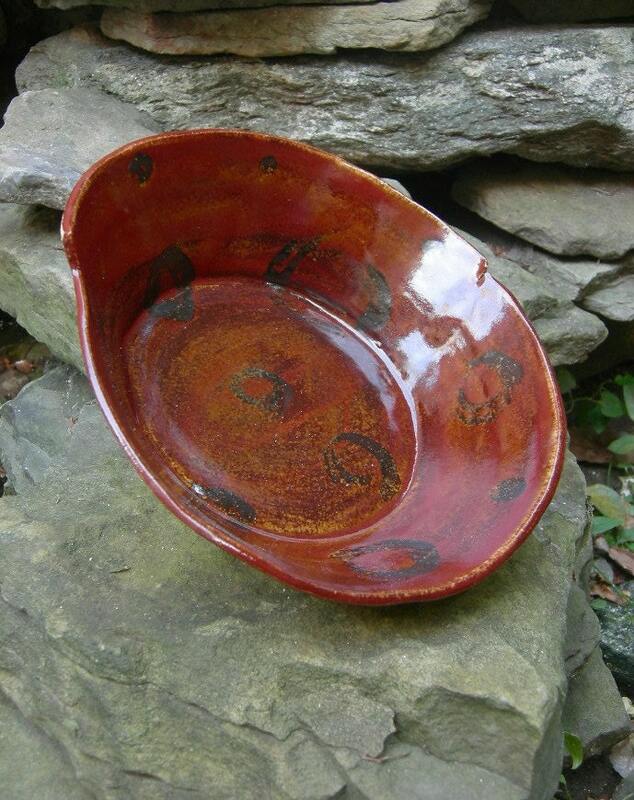 This large serving bowl has been layered with many rustic red and yellow glaze colors and an irregular circular pattern. 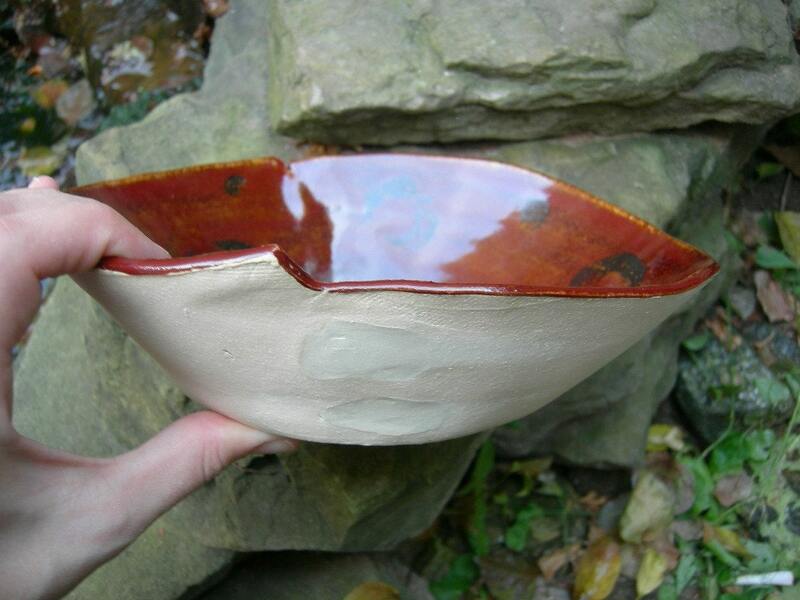 The natural color of the clay is highlighted on the outside of this piece, with a secondary clay imbedded into the seams. Truly a one of a kind piece! 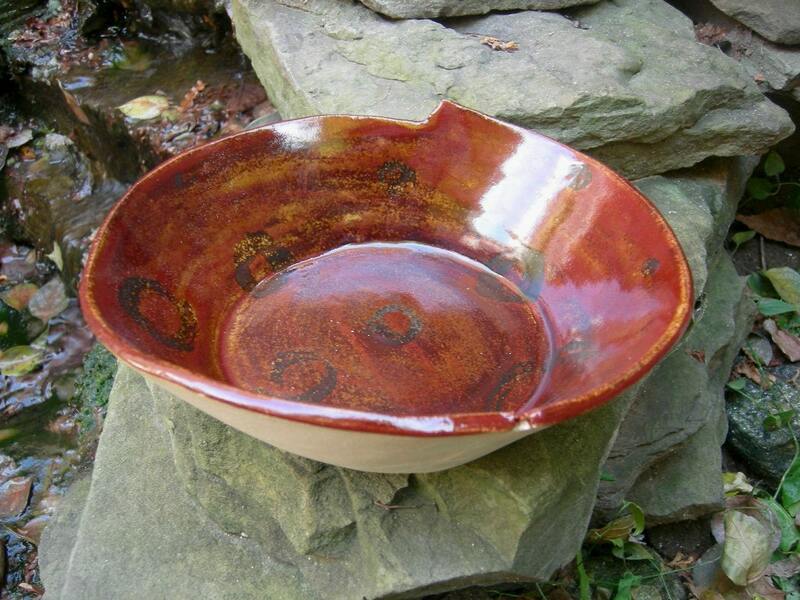 Dishwasher, oven, and microwave safe- perfect for a dinner party to hold your side dish! 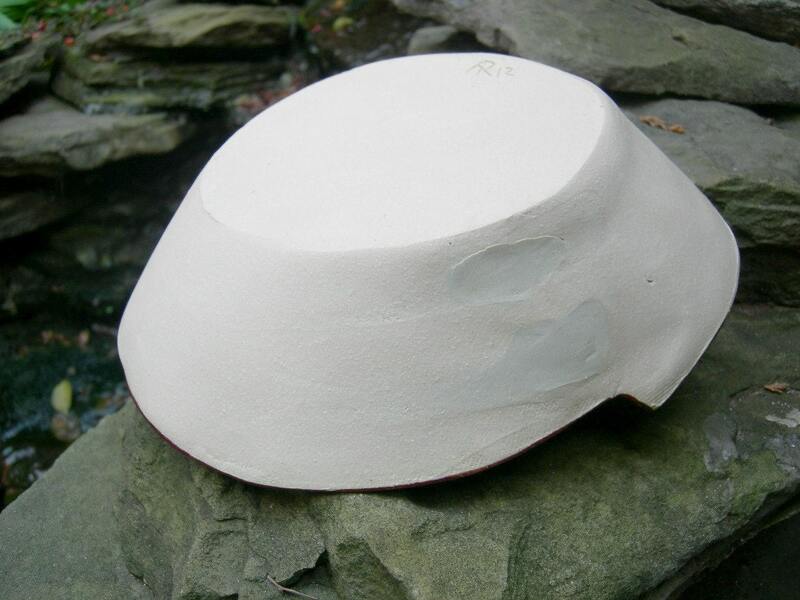 8 1/2" at it's largest point (slightly oblong) by 2 1/2" in height.